Hume City’s under 13 side continued its perfect start to the season with a strong 3-0 win over Brunswick City at ABD Stadium on Sunday. The match started on a positive note with Hume dominating possession and switching the ball nicely. Brunswick offered plenty of resistance in the backline leaving the game 0-0 half time. After encouraging words from the coach at half time the boys came out firing in the second half. Hume found an opener in the 39th minute with a strong header from Kaan Elibol from a cross by Ahmed Iedom. Deha Kurul scored another only 3 minutes later followed by Ahmed Iedom scoring in the last minute, assisted by Nathan Talevski. Coach Colin Cooper said he was again delighted with the quality shown by his young side. “This week the boys came up against a different challenge in that Brunswick played five at the back and a deep lying midfield,” Cooper said. “At halftime we hadn’t managed to score so our boys were challenged to ‘find a way’. “It was pleasing to see them score the first two well crafted goals from quality crosses. “Our bench acknowledged that Brunswick kept the ball well at times and played a good game so it was another great learning opportunity to finally break them down. Hume City continues its 2017 season against North Geelong Warriors at Elcho Park on April 2nd, kick off10:15am. 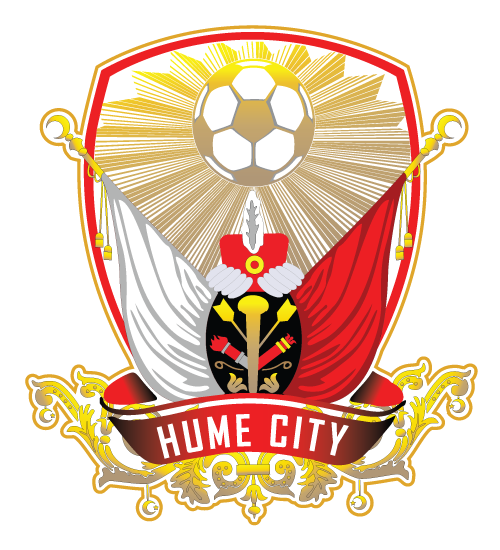 MATCH FACTS: Hume city 3(Elibol 39’ Kurul 43’ Iedom 60’) defeated 0 Brunswick City at ABD Stadium. REPORT COMPILED BY: Leah Balla.